TORONTO, ON (May 17, 2017) – Music Africa, organizers of the largest free African Music Festival in North America (AFROFEST), will be hosting a jam packed summer full of events in celebration of their 29 years of promoting African music and cultural heritage in Toronto. 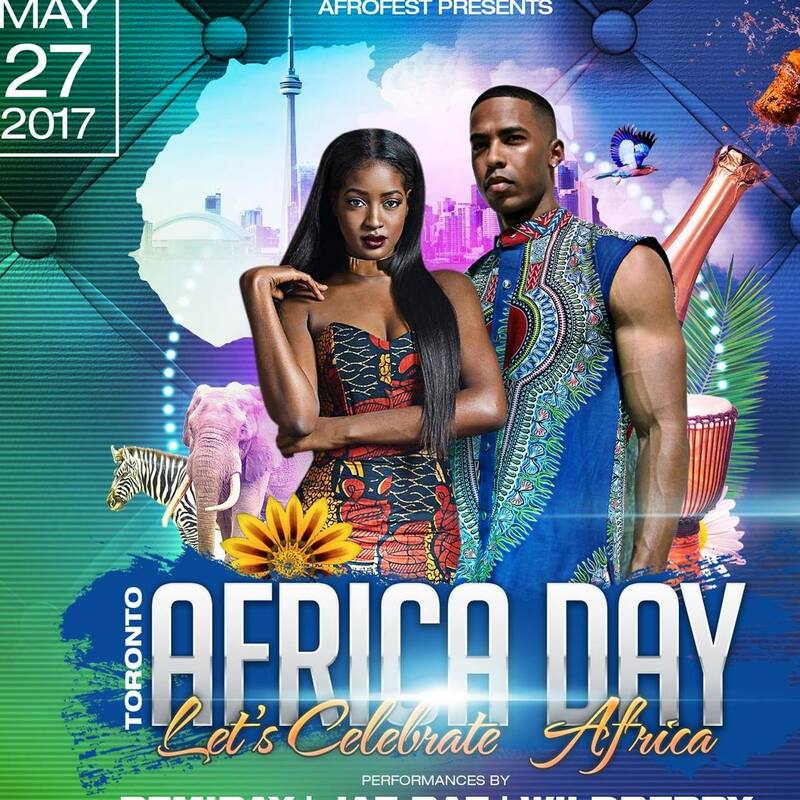 The first event to get the ball rolling is Africa Day - Toronto on Saturday, May 27, 2017, which will be hosted inside the vibrant concert venue Adelaide Hall located at 250 Adelaide St. West, Toronto. Africa Day is aimed at bringing Africans together to celebrate a united Africa. Through our diversity, we are similar. Africa Day celebrates the unity within the African community in Toronto and the similarities in their music and culture. Africa Day will feature the city’s most sought out African hosts, DJs, artists, and performers, to keep attendees entertained during the festivities. There will also be a special fashion showcase, vendor pop-up’s, giveaways and more surprises in store for all guests. “In our 29th year, we aim to foster diversity and inclusion in Toronto by increasing the number of events which engage the African community and present various elements of African art and culture to Torontonians,” says Peter Toh, Executive & Artistic Director of Music Africa. For more information about these events please visit Music Africa’s website at – www.afrofest.ca.